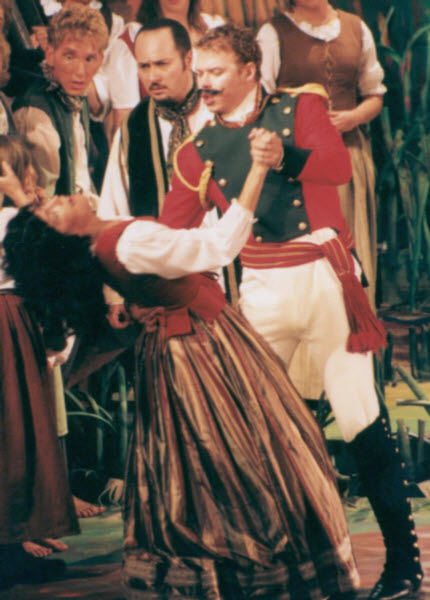 Dominic’s first Donizetti role was Ernesto in Don Pasquale in a co-production with Opera Queensland and State Opera of South Australia in 1997. 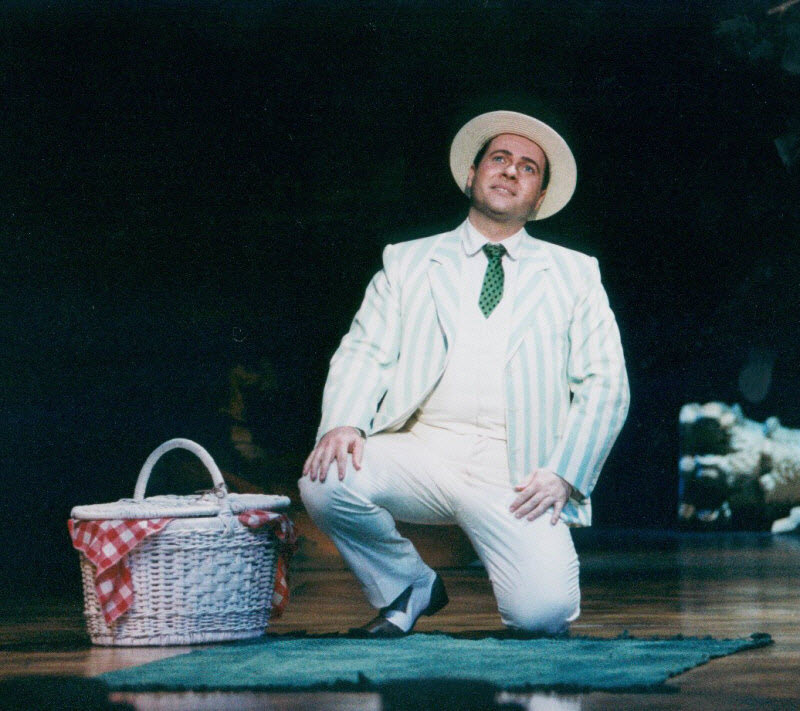 This was followed immediately by his UK debut as Nemorino in L’Elisir d’Amore for Dorset Opera in August 1997. 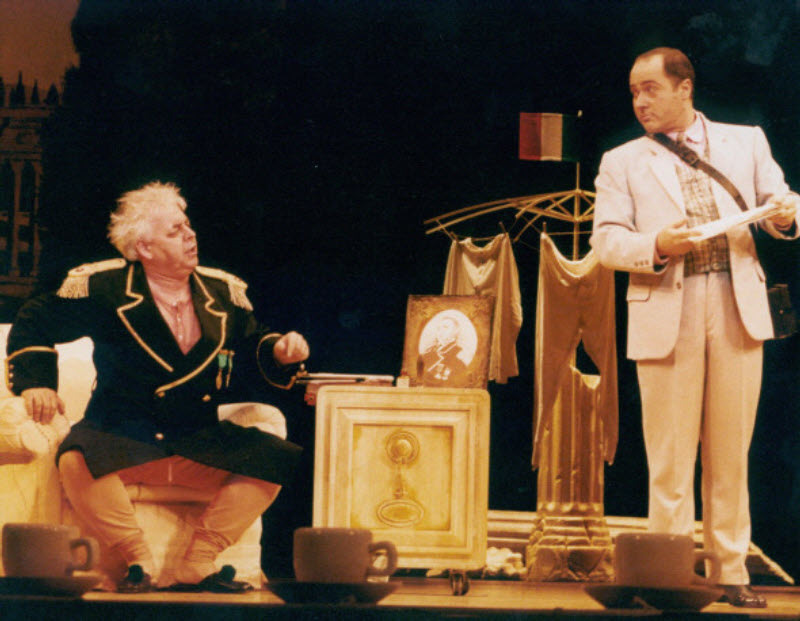 In 1998 he repeated Ernesto in the UK with European Chamber Opera. 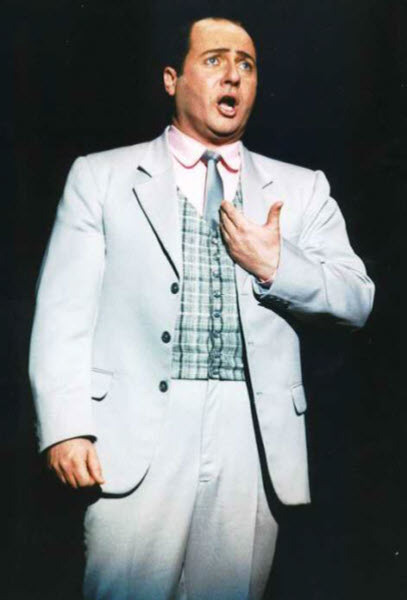 Then in 2001 he sang Edgardo in Lucia di Lammermoor, a role he had studied with Dame Joan Sutherland in 1993 at the National Voice Symposium in Australia. "This production is almost criminally good, produced and performed with a brio only possible because of excellent direction, casting, witty design, superb musicianship and the joyful complicity of all involved… Dominic Natoli sings ardently….expressing the volatile passion of the young lover… it would be hard to imagine anyone else in the roles… an intimate triumph of ensemble and commitment." ".. new production of Don Pasquale….is a delight from beginning to end..Dominic Natoli (one of the several Italian-Australians in the cast who lent the whole evening a certain authenticity) played the tenor who ends up getting the girl … with just the right degree of nonchalance and had exactly the right vocal colour which the part requires….."
Roger Knight in the Adelaide Review, June 1997. 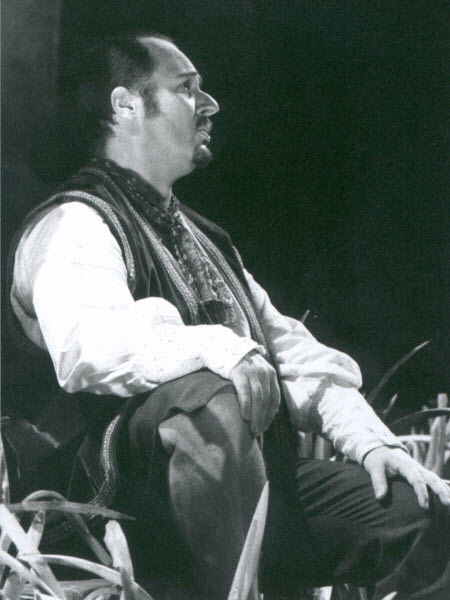 "D N reveals a lovely bel canto tenor voice"
David Bray in The Courier Mail, June 1997. "D N is ideal as Ernesto, an openhearted sort who suffers a touch of the melodramatics, while continuing to sing with style." Barbara Hebden in Sunday Mail, June ’97. "...a personal favourite was D N's fine lyric tenor rendition of Ernesto's Act Two serenade."